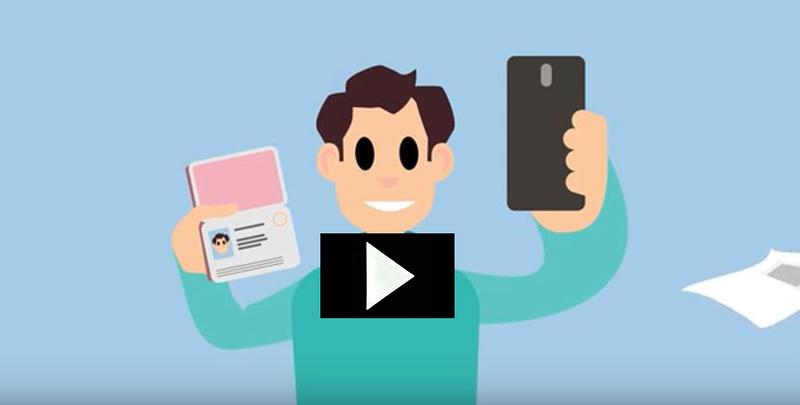 In addition to your passport and driving licence, a phone application that enables you to prove your identity quickly and securely and also offers even more privacy options could soon be possible. As part of the Dutch Blockchain Coalition, Delft University of Technology (TU Delft, The Netherlands) has joined forces with the Netherlands Identity Data Agency (RvIG), a division of the Ministry of Foreign Affairs and Kingdom Relations (BZK), IDEMIA (the current manufacturer of Dutch passports) and law firm CMS, in developing an initial prototype for a digital stamp that could fulfil this purpose in the future. This digital identity is based on TU Delft’s innovative blockchain technology, known as Trustchain. The prototype was demonstrated at a BZK event held on 7 June. After the summer, a consumer trial of this technology will be launched in two Dutch municipalities. After the summer, there are plans to test a prototype in two municipalities: Utrecht and Eindhoven. A test group will have an opportunity to obtain the new service ‘It’s me – validated by the government’ and ‘I’m over 18’ (if applicable) as a digital certificate available on his or her phone. The trial will last until the end of 2018, after which it will be subjected to scientific research to explore the social, ethical, technological, legal, economic and consumer aspects. The results will form the basis for determining whether and how the idea should be pursued. For more than ten years, TU Delft has been working on distributed ledger technology, otherwise known as blockchain. For the last two years, the work has been part of the Delft Blockchain Lab, with scientific coordination from Johan Pouwelse. For this trial, a special blockchain variant is being used, known as Trustchain (IETF Internet Standard draft or Trustchain) and developed by TU Delft. Trustchain is a technology that enables large networks of information to be stored quickly and securely, specially developed for recording identity and creating trust, as it easily detects fraud within the network. It therefore offers at least the same control, privacy and security as existing passports, but on a phone. A strict precondition for success in developing technologies is that the same security requirements placed on passports also apply to the technology being explored. To achieve that, it needs to be able to make a connection with the person. “The work we are doing here crosses numerous domains and we are working with various partners to achieve it”, says Pouwelse. On the development of the digital stamp, TU Delft is collaborating closely with BZK, IDEMIA and CMS. Within the Dutch Blockchain coalition, Trustchain is just one of the technologies being used. The coalition partners – including TU Delft – are testing various technologies in order to gain concrete experience and understand what the pros and cons are of each technology. The Dutch Blockchain Coalition (DBC) is an alliance of partners from government, knowledge institutions and the business community. The aim is to create a secure, reliable digital blockchain infrastructure in the Netherlands that meets the requirements of future users.